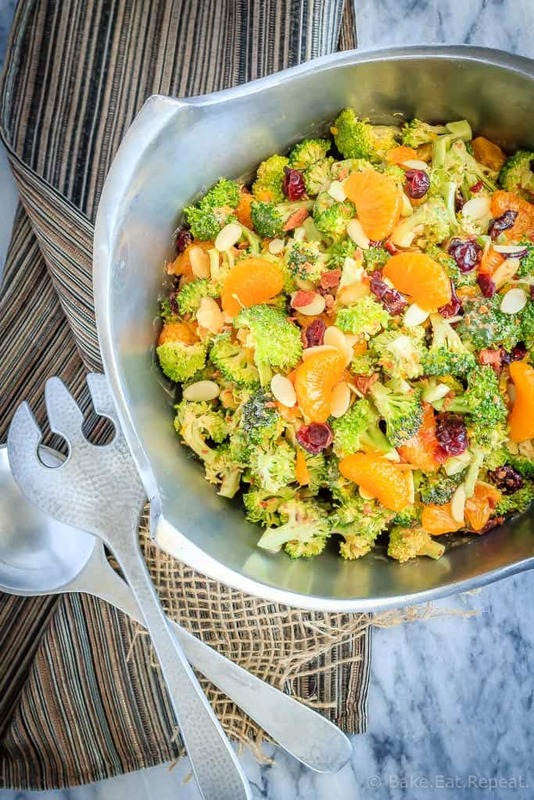 This broccoli salad makes the perfect side dish at any time of year – it’s quick and easy to make and everyone loves it! And it can be made ahead of time! I have loved this broccoli salad since the first time I had it. It’s one of my mother-in-law’s recipes, and definitely one of my favourites. 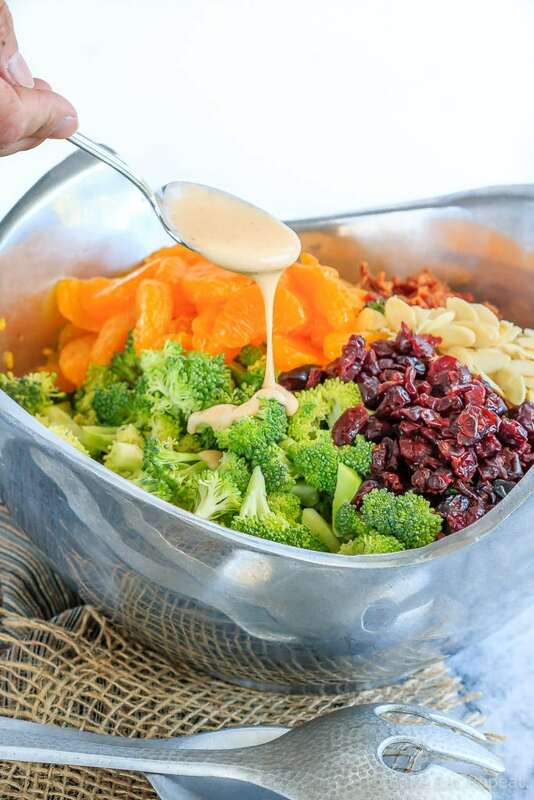 Something about the creamy dressing combined with crunchy broccoli and almonds and sweet oranges and cranberries – it’s absolutely delicious. And bacon. Can’t forget the bacon. That just makes it even better. This is probably one of the easiest salad recipes ever. Chop up some broccoli, toss in a few other things, and mix up a dressing that only has a few ingredients and you’re done. It can be mixed up completely ahead of time if you like. 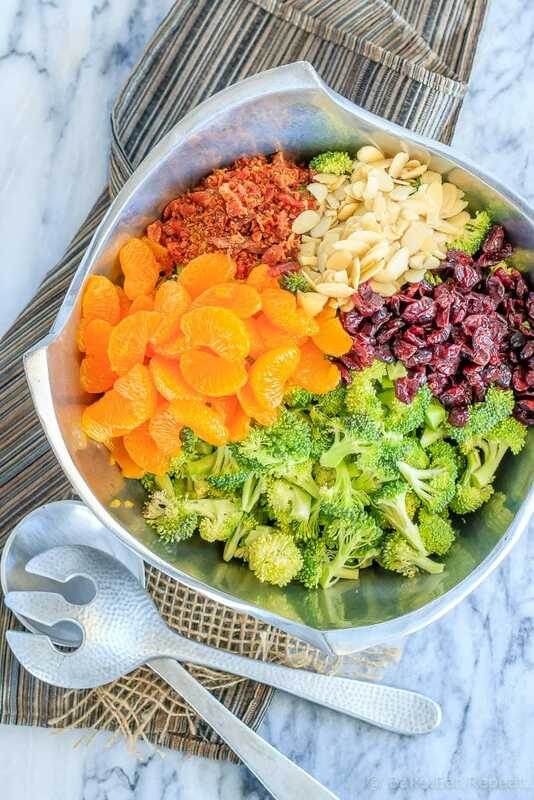 I usually try to wait to throw in the almonds and mandarin oranges, just so nothing gets soggy, but the dressing can be mixed up and ready to go and the broccoli all chopped up so that tossing together the salad literally takes minutes when it’s time to eat. And really – we ate the leftovers of this salad for 3 days and it was absolutely fine, so if you need to completely mix it up a few hours ahead of time, it’ll be fine. 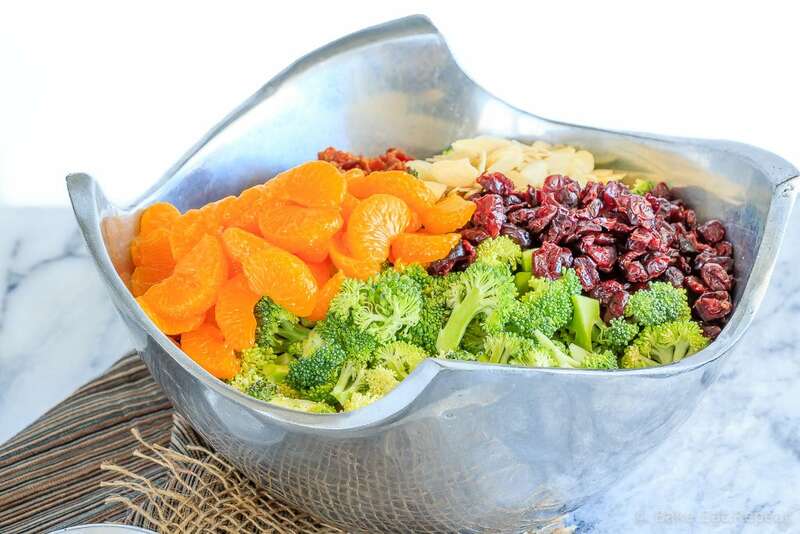 Everyone loves this salad (well except my kids, but they’re crazy), and it’s so easy to make. Minimal time, minimal ingredients, and it can be made ahead of time. I think that makes it the perfect salad! Now if only I could convince my kids. Oh well, they can have their broccoli plain and boring – more broccoli salad for me that way! I’ve also shared this Broccoli Salad Recipe over on Food Fanatic.